Dragonball Z is a series created by Akira Toriyama, in conjunction with TOEI Animation. The series, as it was in Japan is radically different than its English language version. FUNimation Productions, Inc., the company in charge of dubbing it into english, has purposely changed the original background music(BGM), purposely translated the dialogue inaccurately to appeal more to children and focus more on humor, and has cast voices that do not convey the true spirits of the characters at all. The result is a show very different, and very inferior to its original version. What once was a powerful action drama, has now been reduced to a watered down, low quality cash crop aimed at children aged 6-11. That is why we have created this petition. We care a lot about the series, and preserving it in all its form. We are trying to change the American dub for the benefit of the fans, so that they may truly experience a show that has endured for over ten years and five hundred episodes. We encourage all of our visitors to sign our petition and send a letter to Gen Fukunaga. Even if you don't believe our petition will work, please sign anyway! Its fast, its easy, and you dont have to give it a second thought! 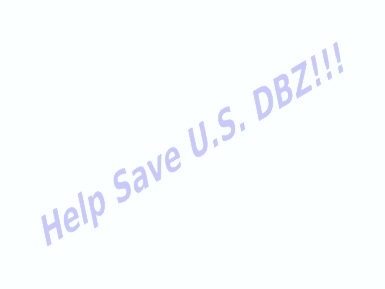 In the event that our petition does not work, then we may be able to truly say that we, the fans, have tried our very hardest to save our favorite anime from Americanization. We can say that even though we failed, we did not just stand by and let our show be Americanized. We stood up and took action. Thats all that really matters. Some people have been quick to judge the outcome of our effort. "Online petitions never work" I hear over and over again. This petition is online to an extent. We rely on the internet for signatures, and once we feel that we have enough, we print it out, and mail it. I doubt that even FUNi can ignore a box full of signatures. Also, people say "Petitions were done in the past, what makes you think you can make a difference?" Well, pay attention to all the petitions that were done in the past. Some dont work because they have no specific point, just "send me signatures." Others are not specific enough in what we want. Greg Werner's famous petition called for uncut DBZ, and that exactly what we got. The fatal flaw in his, was that he did not specify "uncut." All the footage is left in now (On the unedited videos of course) but the original BGM, and dialogue were not. Of course now the new episodes are starting to come around (The new Android tapes show vast improvement) so we applaud FUNi for listening to us, and we encourage them to continue to improve. Thats what we're about, really. Calling what we are doing "A petition" is not totally accurate, because we encourage them to continue to make improvements. They are improving, so we praise them for it. And we would like to ensure they continue to improve, so we will send in all the signatures that say that we support them. There have been several misconseptions about this site too. People think that we absolutely despise the very existance of FUNimation, and that simply is not true. We want to be on friendly terms with them. We want to work with them, creating a better product, for them and us. Take a look at the BGM solution plans on the attachments link. We want to help them! They are having problems getting the original BGM, so to show that we care, we have written several solutions to their problem. Why else would we write this? We care, that is the bottom line, and believe it or not, FUNi cares too. Don't you?